15lb Roto Grip Idol PEARL bowling ball. PIN IS DRILLED OUT THROUGH THEMIDDLE FINGER. Span is 4 7/8" finished for both middle and ring finger. Thumb size is 63/64" with 0" side to side pitch and 1/4" forward pitch. THIS IS A MOTIV VILLAIN SCORN 15LB BOWLING BALL THAT IS IN GREAT SHAPE. TOTAL SPAN IS 4 13/16 X 5 (WITH VISE IT GRIP THUMB INSERTED) (DOES NOT COME WITH INSERT) DRILLED FOR THE RIGHT HAND. SEE PICS. SHIPPING AND PAYMENT INFORMATION IS LISTED. THANKS FOR LOOKING AND HAVE A GREAT DAY. 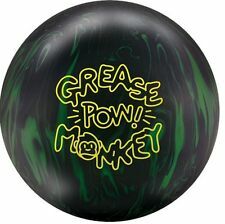 THIS IS A MOTIV VILLAIN 15LB BOWLING BALL THAT IS IN GREAT SHAPE. PIN WAS DRILL OUT IN THE RING FINGER. TOTAL SPAN IS 4 15/16 X 5 1/8 (WITH VISE IT GRIP THUMB INSERTED) (DOES NOT COME WITH INSERT) DRILLED FOR THE RIGHT HAND. SEE PICS. SHIPPING AND PAYMENT INFORMATION IS LISTED. THANKS FOR LOOKING AND HAVE A GREAT DAY. Brunswick's successful relaunch of the Quantum product line continues with the Quantum Bias. This ball is unique in that each core has a unique design to compensate for the gross weight of the ball, the core's dynamics, and the balls hook potential. Ball Quality First Quality Ball Warranty 2 Year. 15lb Storm Hyroad Bowling Ball. Condition is Used. Shipped with FedEx Ground or FedEx Home Delivery. Shipping to 48 US continental states only. 15lb Motiv Golden Jackal With roughly 20 games bowled on it. Pin distance is 3” and original full span is approximately 4 3/4”. Ball is also drilled with a Vise IT Thumb installed in it. Shipping only to the 48 continental states. 900Global EON 5" pin 1st quality Bowling Ball 15 lb Brand new in box! 900Global Eon. with 3.4 top and a 5 " pin900 GLOBAL EON bowling ball. this ball is a 1st quality ball. PICS ARE OF THE EXACT BALL LISTED. RG : 2.50 (for 15# ball). 15lb Hammer Statement Pearl Bowling Ball NEW! #15lb RG (2.47) Diff (.054). Its intricate design has the majority of the mass located at the bottom of the core which will help this core retain as much energy as possible. Mass Bias. 015. Following is what they have to say about this new release COVER TYPE: Pearl Reactive. COLOR: Black / Teal Pearl. THIS IS A MOTIV T10 15LB BOWLING BALL THAT IS IN GREAT SHAPE. TOTAL SPAN IS 4 7/8 X 5 (WITH VISE IT GRIP THUMB INSERTED) (DOES NOT COME WITH INSERT) DRILLED FOR THE RIGHT HAND. SEE PICS. SHIPPING AND PAYMENT INFORMATION IS LISTED. THANKS FOR LOOKING AND HAVE A GREAT DAY. Ball is also drilled with a Vise IT thumb installed in it. Core Stinger CFI. THE SCORPION SWING. Coverstrock Rage. Color Dark Blue / Blue / Red. Core GAUNTLET. CoverstrockSemtex Slayer Pearl CFI. Finish 500 / 1000 POLISHED. 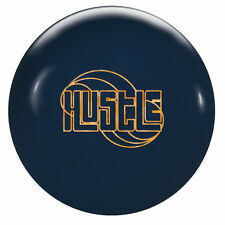 Roto Grig Hustle Ink Bowling Ball 15lb. Condition is used, shows signs of normal use with scratches and marks as seen in pictures. This ball privided me great versatility and smooths out dry back ends on our house shot. Shipped with FedEx. Lower 48 Only please! 15lb Storm Sure Lock With roughly 30 games bowled on it. Pin distance is 2 1/2” and original full span is approximately 5 1/8”. Ball is also drilled with a Vise IT thumb installed as well as an extra hole in it. The fingers were also plugged to shorten the span by 1/4”. Shipping only to the 48 continental states. This new technology creates a more consistent and uniform grip on the lane compared to its predecessor. This new Pearl version allows the Paradox V to push further down the lane compared to the Alias and give bowlers a stronger change of direction at the breakpoint. 15lb Storm Iq tour fusion. Cost includes. Core GAUNTLET. Finish 500 / 1500. CoverstrockSemtex Slayer II CFI. 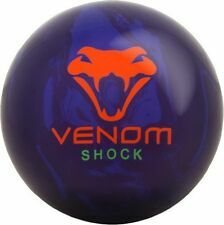 THIS IS A MOTIV VENOM SHOCK 15LB BOWLING BALL THAT IS IN GREAT SHAPE. TOTAL SPAN IS 4 7/8 X 5 (WITH VISE IT GRIP THUMB INSERTED) (DOES NOT COME WITH INSERT) DRILLED FOR THE RIGHT HAND. SEE PICS. SHIPPING AND PAYMENT INFORMATION IS LISTED. THANKS FOR LOOKING AND HAVE A GREAT DAY. NO RULES™ PEARL BOWLING BALL TECHNICAL / SPECS. Like all pearls it can be sanded to battle a little more oil or just to blend out the reaction at the breakpoint. Color Onyx / Neon Green / Silver. BALL DYNAMICS. This bowling ball is Carbon Fiber Infused! Carbon fiber is one of the toughest materials on earth. Ball Performance: Upper Mid-Performance Balls. Color : Gold. Length : Long. Hook Potential : High. RG and Diff are based off of 15 lb. Roto Grip Hy-Wire Bowling ball 15lb. Condition is Used, very low games but a few nicks in the surface. Left Handed drill. Shipped with FedEx, lower 48 only please. 15lb Hammer Scandal/S with roughly 20 games bowled on it. Pin distance is 3 3/4” and original full span is approximately 5 1/8”. Ball is also drilled with a Vise IT thumb installed in it. Shipping only to the 48 continental states. Color Navy / Neon Yellow / Neon Orange. We have various pin distances and top weights. The ball pictured may not be the exact ball you get. No Authority. No Laws. NO RULES! Finish 2000-grit Pad. Without doubt, the ball we are asked most often to release is a pearl version of the Solaris Blackout. The Solaris Blackout (Solid) was our most popular ball to date and stayed in our lineup for several years. The choice continues to be easy, with the Ebonite Choice Pearl bowling ball. This core creates easy length through the front of the lane and allows for great continuation down lane. 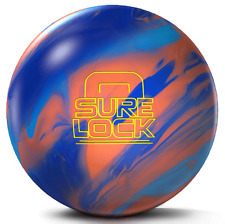 This high performance bowling ball is a great choice when you need a ball that will provide easy length on heavy oil. New Listing15lb Brunswick Quantum Bias Pearl Bowling Ball PLUS FREE QUANTUM 3 BALL TOTE! We may be a tad Biased, but we loved the Quantum Bias Solid so we made a longer, stronger version. Quantum Bias Pearl. Introducing the ultramarine colored Quantum Bias Pearl. The white Quantum Bias Solid was so successful, we decided to create an even longer and stronger version. 5 out of 5 stars - 15lb Brunswick Quantum Bias Pearl Bowling Ball PLUS FREE QUANTUM 3 BALL TOTE! 2 product ratings2 product ratings - 15lb Brunswick Quantum Bias Pearl Bowling Ball PLUS FREE QUANTUM 3 BALL TOTE! This ball is designed to get through the front of the lane with ease while producing an incredible backend reaction. BOWLING BALL. This ball is a factory second only because of the tiny bit of discoloration on the bottom side of the ball, otherwise the ball is perfect with good specs. PICS ARE OF THE EXACT BALL LISTED. 15lb Radical Conspiracy Pearl Bowling Ball NEW! Radical Conspiracy Pearl. COLOR: Black/Teal Pearl. COVER TYPE: Pearl Reactive. LEVEL: Top Shelf. ColorBlack Pearl/Purple Pearl. Weights13 thru 16lbs. Factory finish1000 grit Polished. Weight Block: Quantum Mushroom High RG Asym. The enhanced Coefficient of Restitution results in the pins flying faster for greater pin action and more strikes. Flare Potential: High. Radius of Gyration (RG): 16lbs - 2.522; 15lbs - 2.563; 14lbs - 2.642. Gauntlet Thor Overseas Bowling Ball! Storm Code Red Bowling Ball 15 LB Used Great Condition! 5 out of 5 stars - Storm Code Red Bowling Ball 15 LB Used Great Condition! 1 product rating1 product ratings - Storm Code Red Bowling Ball 15 LB Used Great Condition! New Listing15lb Hammer Statement Solid Bowling Ball NEW! #15lb RG (2.47) Diff (.054). Its intricate design has the majority of the mass located at the bottom of the core which will help this core retain as much energy as possible. #12lb RG (2.63) Diff (.025). Dynothane D & C 2nd 15 lb bowling ball. Undrilled RARE! BRUNSWICK Fortera Intrigue BOWLING ball 15 lbs 1st qual BRAND NEW IN BOX!! !